See this photograph. 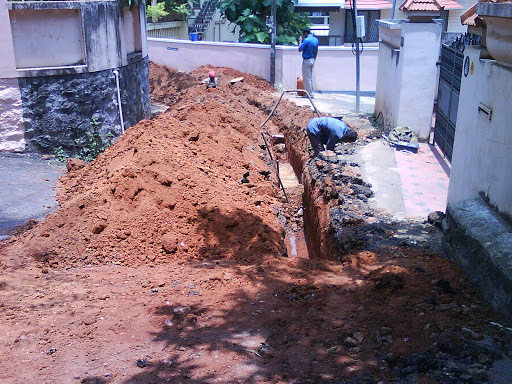 They are making a trench by the side of the road to lay water pipes. By the way, did you see the road? Even I didn’t! 4 responses to Typical Kerala workmanship! Re: Scorpio🙂 This is a shot from Kesavadasapuram in Trivandrum. Good one 😀How do they expect ppl to travel that way?